Description: "Follow Me" is the command that we, as Christians, must obey if we wish to enter into a life of blessing and eternal joy. Fortunately, God has graciously provided a way for us to be obedient to His will. 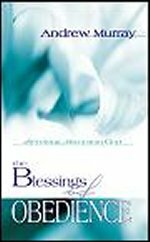 In this book, Andrew Murray reveals how to receive the blessings of obedience.